Weber State gets some players back: Kyle Bullinger was a first-team all conference player last year, and Frank Otis was a starter after transferring from SMU. However, both players got hurt a few weeks ago, and missed significant time. For the most part, the Wildcats were still fine, mostly thanks to the play of “Fly Guy” Damian Lillard. However, these two returned to action last week, and that makes WSU even more dangerous. 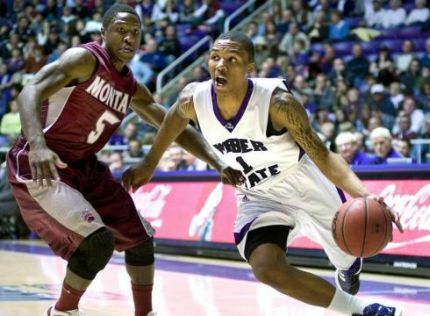 Round One of Weber State/Montana goes to Wildcats: These are the two best teams in the Big Sky this year, which means there is a good chance they will meet three times. In the first matchup, Weber State took control of the game and control of the conference, beating Montana by 16. It was really a fantastic win, and clearly puts Weber State a head above everyone else in the conference right now. 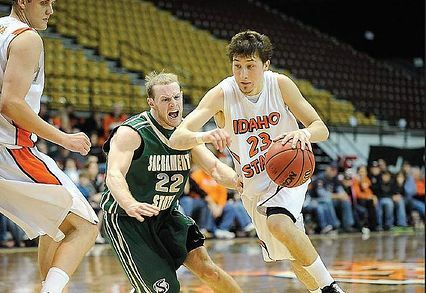 The best comeback of the year: With 11:21 to play on 1/14, Idaho State trailed Sacramento State, 54-32. With two minutes to play, they were down by 10. With 12 seconds to play, they were down by three. But then, after a Kenny McGowen four-point play, they miraculously won the game on the road. For a team that has been struggling for a few years, this is a win for them to savor. For Sacramento State, I’m not sure they can recover from that and still have a realistic shot at the Big Sky tournament. Weber State (15-3, 7-0) – There are two good signs for the Wildcats and bad signs for the rest of the conference. One, WSU has been impossible to beat at home this year, as they possess an 11-0 home mark. Two, the winner of the Big Sky regular season hosts the conference tournament. As of now, it would be foolish to predict that that team will be anyone other than the Wildcats. They are the best team in the Big Sky right now without question. Montana (12-6, 5-1) – Once again, Wayne Tinkle’s team is the best defensive team in the conference, though it might have been hard to tell from the Weber State game. The most surprising thing about the Grizzlies this year is that Mathias Ward, not Derek Selvig, has been the best offensive big man on the team. Eastern Washington (9-10, 3-3) – They continue to be hampered by foul problems, and they lost a game in about as bad a way as you can against Northern Colorado.Weirdly, since it was out that Collin Chiverton is playing with a fracture in his foot, he seems to be playing his best basketball. They are very dependent on outside shooting, which means they can beat anyone, or lose to anyone. Montana State (9-8, 4-2) – I keep underestimating the Bobcats, and yet here they sit at 4-2. They have been helped by a nice early schedule, but they are winning the games that they are supposed to, and that is not always an easy thing. They are a balanced team, but I am not sure yet if that is their strength of weakness. Northern Colorado (6-11, 3-3) – Ever since his injury, Paul Garnica hasn’t quite been the same, and it has been reflected in less playing time. That is big because he was becoming a go-to guy for them. They have solid talent, but there is no team more inconsistent in the Big Sky. Portland State (9-9, 3-3) – They consistently play perhaps the most exciting games in the conference, because they score a lot and can’t stop anyone. Charles Odum has been struggling lately … his two-point shooting percentage is all the way down to 63.8%. Chehales Tapscott continues to be the best player that 99% of America doesn’t know about. Idaho State (4-14, 2-4) – They were universally picked last in the Big Sky, but they are showing they may have some fight in them after all. Chase Grabauhas been a revelation … he has a fantastic all-around game that not a lot of other players in the conference have. He is an extremely efficient scorer, excellent passer, and solid rebounder and defender. Northern Arizona (5-14, 1-6) – Well, there’s always next year. Despite showing some brief flashes after a coaching change, it is clear that this is not going to be their year. They are the darkhorse candidate to finish last in the Big Sky. Sacramento State (5-12, 0-6) – Take a look at this win probability chart for their game against Idaho State. That basically tells you what you need to know about the Hornets right now. Saturday, 1/21 – Northern Colorado @ Montana State – Both teams are perhaps a little higher than some people might have expected, which makes this a big one for teams to get some momentum. Last year 7 wins was enough to make the Big Sky tourney. Whoever wins this game will at least be over halfway there. Saturday, 1/21 – Portland State @ Eastern Washington – This should be a high-scoring, entertaining game to watch. Both teams are solid offensively, and both have had their struggles on the other side of the ball. This would be a big one for PSU if they could pull the upset. Wednesday, 1/25 – Montana @ Eastern Washington – The first meeting between these teams was excellent, as EWU led for a lot of the game, but Montana won by 8 by the end of it. This one should be even closer, as it’s in Cheney. We are pretty sure that Montana is the second best team in the Big Sky, but the Eagles might have something to say about it if they can steal this one. Big Sky TV deal with Root Sports: The Big Sky announced this week that they reached a TV deal with Root Sports, which will broadcast 18 Big Sky football games and 12 Big Sky basketball games each year. While the financial terms of the deal were not disclosed, it should help to get the conference a little more exposure. Most games will still be available on Big Sky TV (except ones that are on Root Sports), so fans should still have good access to watch a lot of their team’s games. This entry was posted on Saturday, January 21st, 2012 at 9:00 am by rtmsf	and is filed under big sky, Checking In On. Tagged: charles odum, chase grabau, chehales tapscott, collin chiverton, damian lillard, derek selvig, eastern washington, frank otis, gabe rogers, idaho state, james douglas, kareem jamar, Konnor Veteto, kyle bullinger, kyle tresnak, Lateff McMullan, montana, montana state, nate lozeau, northern arizona, northern colorado, Paul Garnica, portland state, Renado Parker, Sacremento State, stallon saldivar, tate unruh, Tim Huskisson, weber state, will cherry, Xavier Blount. You can follow any responses to this entry through the RSS 2.0 feed. You can leave a response, or trackback from your own site.